the amount of water in Florida's huge Lake Okeechobee (with a surface area of 669 square miles). How easy are these leaks to fix? Well, did you know that all you need is a few drops of food coloring and you can check to see if your toilet is leaking right now? Those few drips don't seem like much, but they really add up. 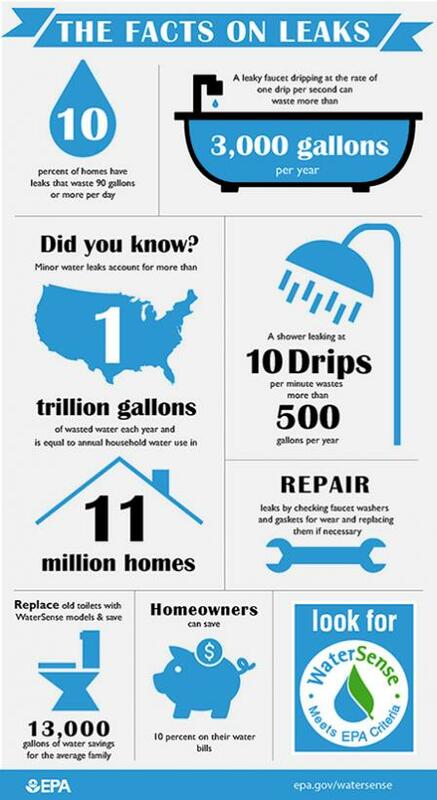 Last week was the EPA's WaterSense "Fix a Leak Week," so this is a great time to take a look at how to fix those leaky faucets, toilets, and showers. And save money, and, more importantly, save WATER! Check out this great video that shows you how to Find and Fix LEAKS! 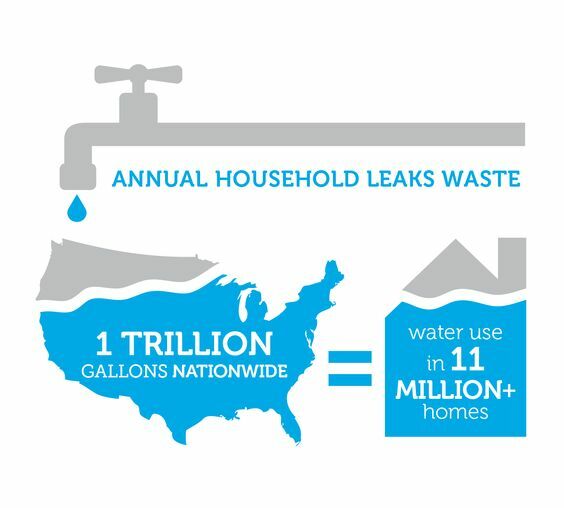 USGS's Water Drip Calculator: How much does a leaky faucet waste?